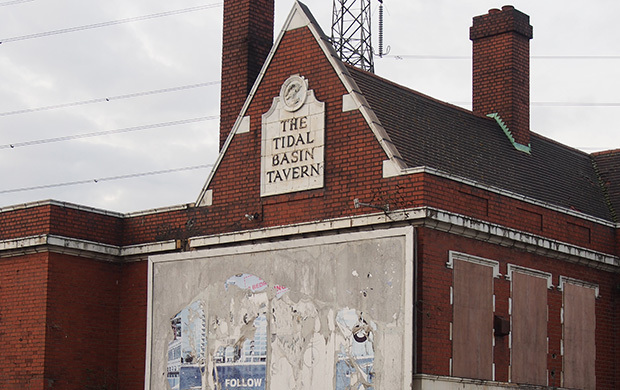 Situated close to the northern end of the cable car running from North Greenwich is a long-derelict pub with a fascinating history, The Tidal Basin Tavern. Once known as ‘The Dug Out,’ this sizeable public house was constructed around 1862, and managed to live on after being bombed in the Blitz. 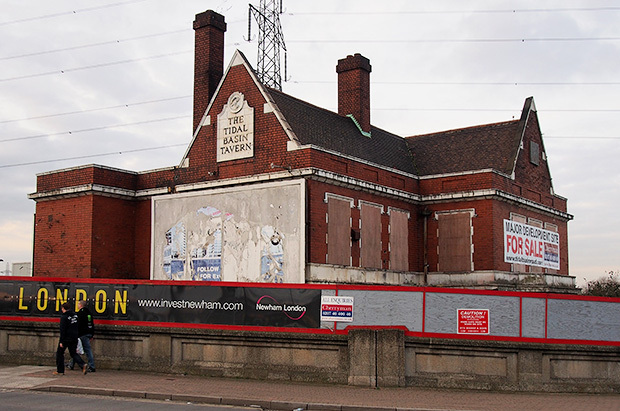 Catering to the once bustling docks trade, and latterly kept busy serving workmen involved in the regeneration of the nearby docks, the pub’s end was hastened with the discovery of serious structural defects. 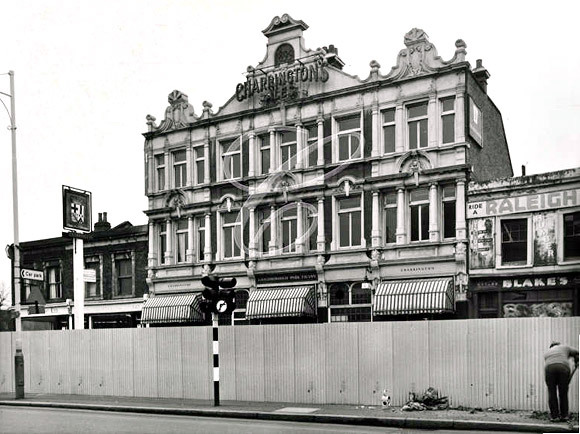 The establishment closed for good in 1990. The Tidal Basin Tavern hosted punk gigs in the late 1970s, hosting new wave luminaries such as Siouxsie and the Banshees, and the gender-challenging Wayne County & the Electric Chairs, while strippers kept the day time drinking crowd amused. I used to be in a blues/rock band that had a residency here for about 3 months. They had two massive German shepherds that would drink the slops at the end of the night and during one gig the place was raided by the drugs squad in the middle of our set and the landlady’s partner was hauled off. We never stopped playing or missed a beat the whole set, and we got paid as usual. I have so many weird and happy memories of this place. It was a toilet, but it was *our* toilet. There was also a rumour of a someone being shot dead at the bar in 1978. 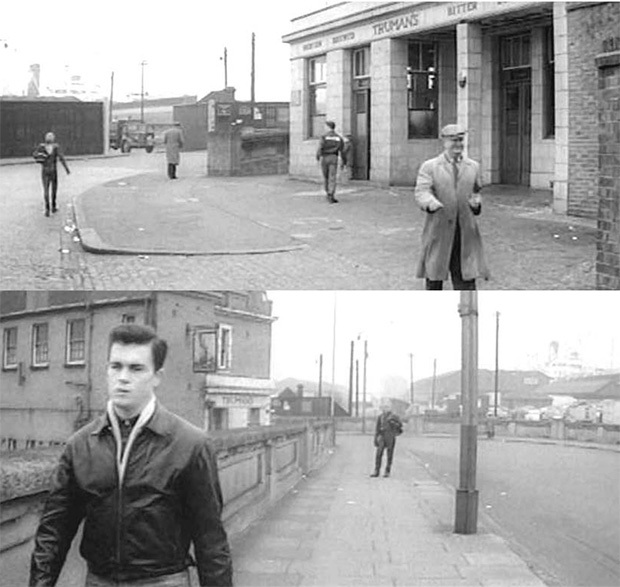 The pub also featured in the closing scenes of the cult-biker movie The Leather Boys which featured Colin Campbell, Dudley Sutton and Rita Tushingham. 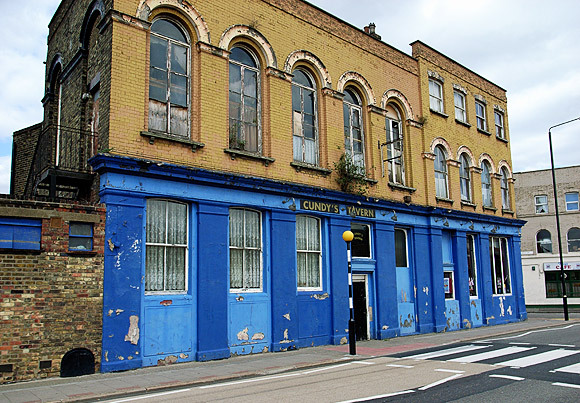 Read more on Derelict London. Also: Landlord history. 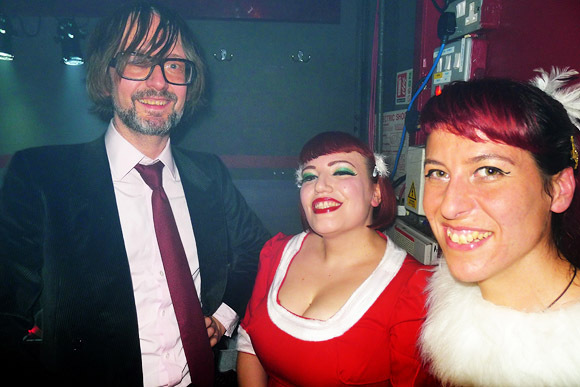 East India Docks and Basin walk – photos Jarvis Cocker and The Actionettes at Duckie, Royal Vauxhall Tavern, London Morton Valence and the Mountain Of Love return to the Railway Tavern, south London, Nell Gwynne Tavern, Strand, London – ideal for scaffolding enthusiasts Lost dodgy London boozers: Cundy’s Tavern, Silvertown Save the George Tavern in Stepney – sign this petition now Elm Park Tavern – a proper old school Brixton boozer The mystery of the Brixton Loughborough Park Tavern solved! As a merchant seaman I shipped out of the Royal Docks during the 1950’s / ’60’s and spent many happy hours in the Tidal Basin pub. It’s a shame to see so many places like this closed and derelict but that’s what happens when the dockers and seamen left. 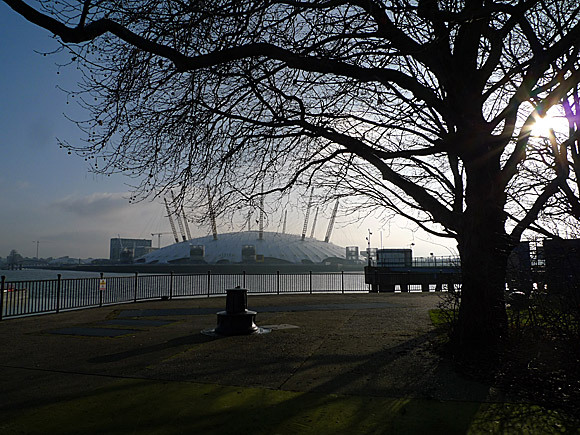 The Royal Docks are now an alien place to me and others connected to the area from those days. Mid to late “70”s as a young detective spent some good times mixing with the locals who also knew who I was at that time. Hi I would be interested very much if you have any history etc as i believe my grandmother was born in this pub, thanks Mark. Feel free to post them up here…. 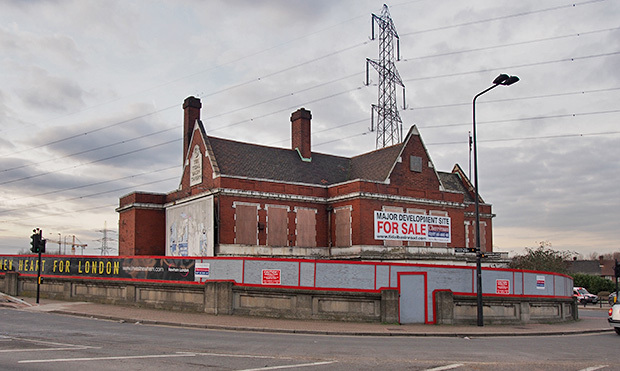 Hi Alan – I’ve just bought one of the (tiny) new flats in the tower that now sits bang on top of the site of the Tidal Basin Tavern. The history of the pub and area is fascinating. Please post your memories here, and photos! And is it true someone was shot dead inside in 1978? Are the tapes of the Siouxsie and the Banshees gigs? My parents must of taken the pub over when your parents left. My family lived in the Tidal Basin from Dec 1975 through till Feb 1977. 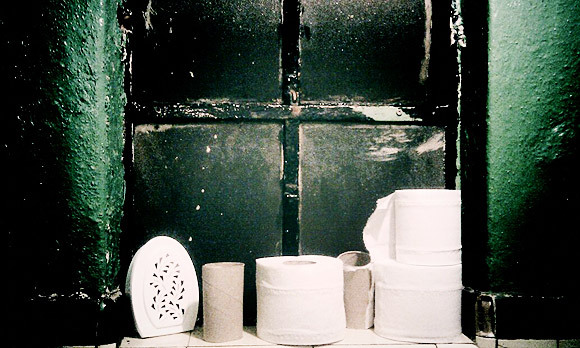 This pub will always remain my favourite from all the pubs in London that they run. I believe we were both lucky to have shared part of this legendary pubs history.